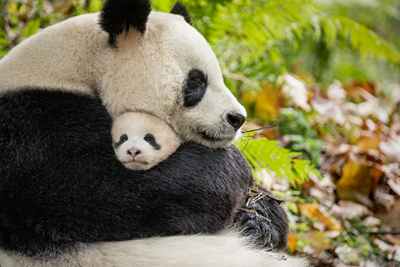 I don’t see a lot of movies that make me say “D’awww!” frequently, so Disneynature’s “Born in China” was a refreshing change of pace–a movie that appeals to adults and kids alike. 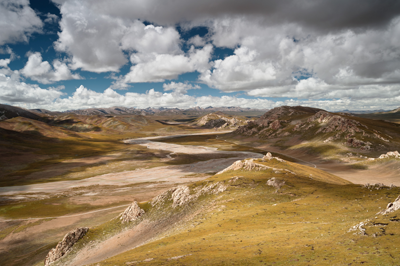 Taking a break from the hyper-urban settings we often see representing China, “Born in China” showcases more remote regions, high in the mountains at 14,000 feet above sea level or along the flat, muddy, icy plains where antelopes dominate the landscape. 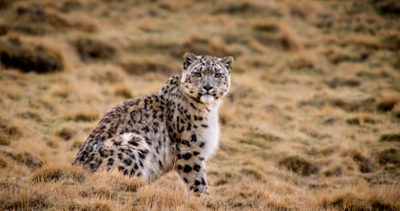 As the story bounces back and forth between the different “characters”–Dawa, the snow leopard; TaoTao, the golden snub-nosed monkey; YaYa, the giant panda; and the nameless (yet max adorbs) Chiru antelopes–the contrasts in their environments and situations becomes clearer while their similarities emerge. 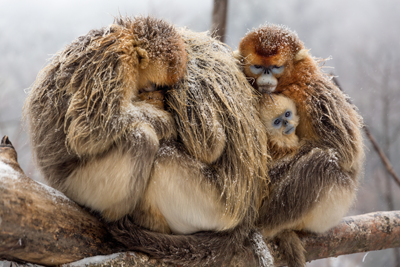 Nature is a harsh place when food becomes scarce, family bonds can be incredibly tight, and there’s nothing like a mommy’s love for her babies (I can attest to that). If there’s a lesson to be learned (since none of the stories discuss any encroachment from environmental hazards and human predators), it is that instinct and love will keep the wheel of life turning as long as life can exist. Each of the character animals faces its own challenge: Dawa struggles with the difficulties that come from being atop the food chain (which isn’t always all that it’s cracked up to be), TaoTao turns “bad boy” when he feels ignored following the birth of his baby sister, YaYa quite literally can’t bring herself to let go of her baby, MeiMei, and the Chiru females have long roads to travel as they bring forth the next generation of antelopes. You see each animal in a seasonal vignette; the movie begins in Spring and progresses through to the Fall of the next year. Each of these mini-worlds contains some measure of danger and potential for heartache, but the filmmakers do their level best to keep the emotional damage to a minimum. 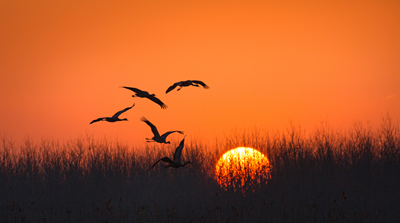 The cranes are the sole exception to the build of a specific animal’s storyline; in their case, they serve as a reminder of their mystical role in Chinese folklore as carriers of spirits. When they are seen, it is the turning of a page, the inevitable cranking of that wheel. One life ends, another begins. And so it goes, endlessly. Could the movie have been trimmed here and there, or could the cranes have been more than a metaphor? Sure. But all in all, it was a cute film and it showed an incredibly gorgeous side of China I never knew existed. Narrator John Krakowski (“The Office”) adds equal parts gravitas and humor in his rendering of the stories. His comedic chops and timing are on full display when the male chiru are parading around in all of their glory, skills that are well appreciated by the adults in the crowd. Is “Born in China” good for kids? ABSOLUTELY. As a G-rated film, it’s baked just for them, although the stunning visuals (including breathtaking time lapse imagery) are going to thrill the adults. It seemed a shame that we screened the film on a regular movie screen; it begged to be on a tall IMAX screen, where the flyovers and mountaintop views can really make your heart skip a beat. Stay for the end credits: there’s some really great behind-the-scenes footage, plus some more animals-being-adorable shots that are totally worth sticking around to see. 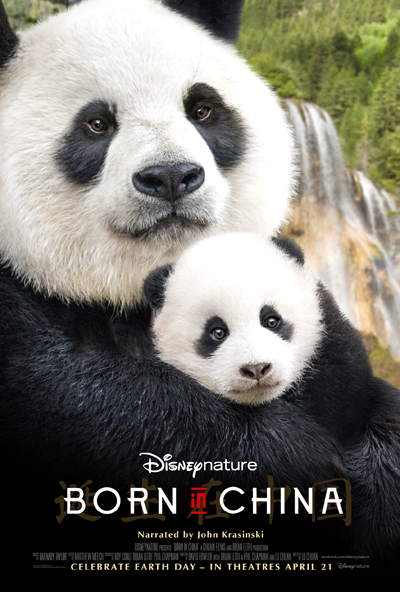 Another enticement to see “Born in China”, whose release date is timed to coincide with Earth Day Weekend: for every ticket sold for an opening week showing (April 21-27), Disneynature will make a donation to the World Wildlife Fund. If that’s not enough to get you turning the wheel of your car towards the movie theatre, I’m just not sure what will. “Born in China” opens in theatres on Friday, April 21, 2017. It’s rated G.